The weigh forward - are we any nearer a solution to cessation related weight gain? 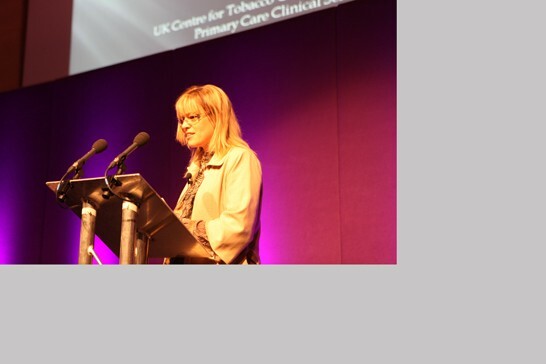 In 2008, at the UKNSCC, we presented initial findings from: an 8 year cohort on cessation related weight gain and a Cochrane review for preventing this weight gain. Since then we have refined and extended our analysis on the predictors of weight gain; we have meta-analysis data on weight gain trajectory during the first year post cessation, and the Cochrane review has been completed. I will summarise findings to date. Perhaps the most controversial suggestion from the Cochrane review was that general healthy eating advice to prevent weight gain, the most common approach used by stop smoking advisors, was ineffective. It was also associated with lower abstinence rates than individually tailored calorie prescriptions and goal setting interventions. Very low calorie diets also looked promising. Â We have run a feasibility trial comparing these 3 interventions in NHS stop smoking clinics. I will present the details of the dietary methods we used, the views of the participants and stop smoking advisors who took part and the preliminary results on weight gain. So what can we conclude in view of current evidence? What can we take into clinical practice and where should our research be taking us now? Source of funding: UK Centre for Tobacco Control Studies (UKCTCS) a UKCRC Public Health Research Centre of Excellence. Funding from British Heart Foundation, Cancer Research UK, Economic and Social Research Council and the Department of Health under the auspices of the UK Clinical Research Collaboration is gratefully acknowledged.